Barnum, the circus stage extravaganza, is big, bold and full of colour. The story revolves around P.T. Barnum, who believes everyone’s a sucker and will believe any humbug. The two women in his life, his wife Charity and Jenny Lind, the Swedish songbird, are interwoven into his story to provide a dazzling array of musical variety – Barnum really is the greatest show on Earth. One Night Only became One Day Only with a matinee added when tickets sold out in just a few weeks. 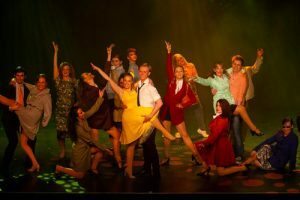 With an impressive array of talent on stage, the show was the chance to experience an insight into the world of theatre and the stories of all those behind-the-scenes through an all-singing, all-dancing musical theatre extravaganza. 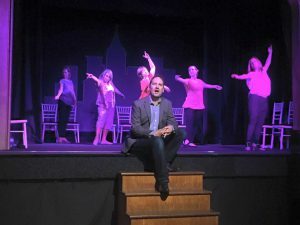 The heartwarming story of The Sound of Music is based on the real-life story of the Von Trapp Family singers, one of the world’s best-known concert groups in the era immediately preceding World War II. 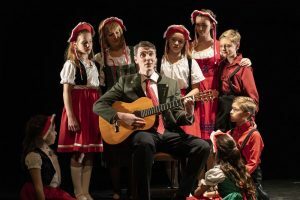 The musical tells the story of Maria, who is sent to work as a governess in the home of a widowed naval captain with seven children, and brings a new love of life and music into the home. Based on T.S. Eliot’s whimsical collection of poems, Old Possum’s Book of Practical Cats, this infamous classic brings together a tribe of Jellicle Cats on a moonlit evening, who must make the “Jellicle choice” to decide which of them will ascend to the mysterious Heaviside Layer to be reborn. 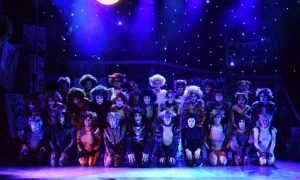 Featuring celebrated favourite songs “Memory” and “Mr Mistoffelees” as part of an all-round spectacular score, Cats is an international phenomenon now being brought to Radlett in one of the first amateur productions ever staged in the UK. In turn-of-the-century Sweden, the night does not smile. With love triangles, jitled lovers and old flames coming together as Fredrik, Desiree, Anne, Henrik, Carl Magnus, Charlotte, Petra and Frid all meet at Madame Armfeldt’s chateau for “A Weekend in the Country”, a tangled romantic web begins to take even more twists and turns. Will the night smile for them all? 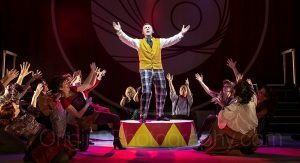 Based on Victoria Wood’s parodic soap opera, this all-singing all-dancing extravaganza will leave you feeling brighter and sunnier than David Dickinson’s forehead! Join Miss Babs, Miss Berta, Mr Clifford and of course the indomitable Mrs Overall – amongst a whole host of hilarious new characters – in their hilarious struggle to save Acorn Antiques from closure… and to remember their lines! The only question is what will come down first: the final curtain or the set?! 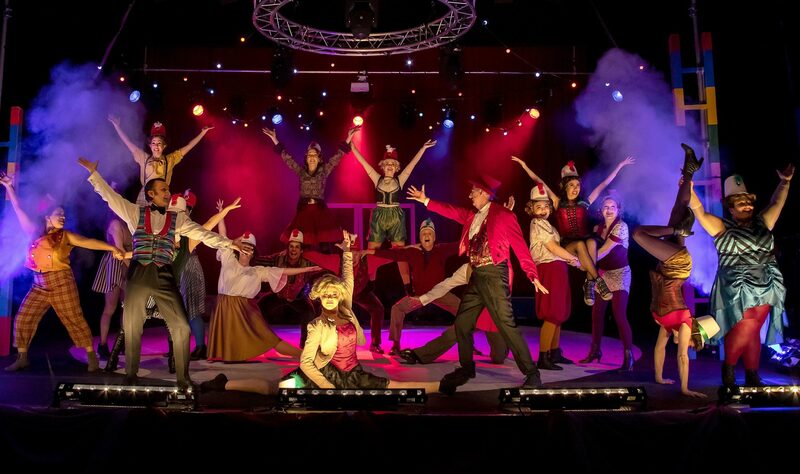 An energe tic and joyful production of song and dance numbers covering a selection of your most loved musicals and movies, for one night only! 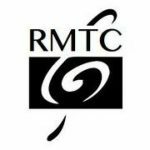 Including hits from The Book of Mormon, Wicked, Sister Act, How To Succeed In Business Without Really Trying, Les Miserables, Meet Me in St Louis and many more. A Musical Night From Stage and Screen is an all-singing, all-dancing extravaganza! Directed and choreographed by Jason Lane with musical direction by Alex Ainley. Set in New York during the Great Depression, Annie escapes a life of misery at Miss Hannigan’s orphanage on an adventure when she is adopted by the billionaire Daddy Warbucks for two weeks over Christmas. 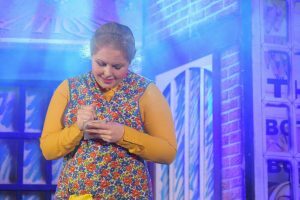 When Warbucks learns that she is looking for her original parents, he agrees to help her search. 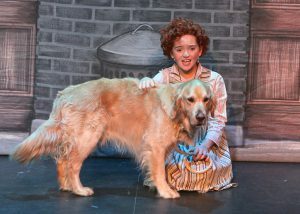 However the spiteful Miss Hannigan has other ideas. Avenue Q is the story of Princeton, a bright-eyed college grad who comes to New York City with big dreams and a tiny bank account. Together, Princeton and his newfound friends struggle to find jobs, dates, and their ever-elusive purpose in life. 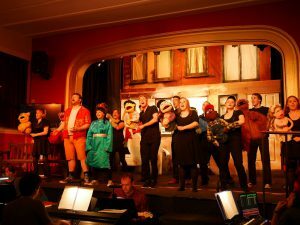 Winner of Three Tony Awards including Best Musical, this rude and affectionate spoof of Sesame Street has been a sell-out success both on Broadway and the West End! 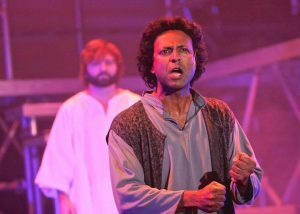 Andrew Lloyd Webber and Tim Rice’s groundbreaking rock opera tells the story of the last days of Jesus, from the perspective of Judas Iscariot. Bursting onto the scene as a concept album in the early 70s, it transferred to the West End and Broadway, became a successful film, and has been frequently revived ever since. 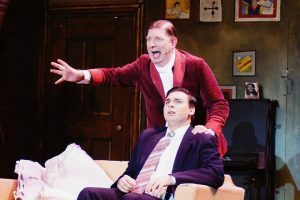 Fresh and thought-provoking, the show combines fun and humour with wonderful music and serious, timeless themes. 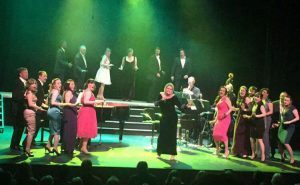 Accompanied by the magnificent Nightingale Jazz Quartet, this one-night only musical revue features some of the finest songs in musical theatre. 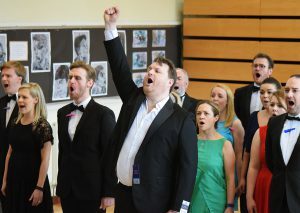 Including show tunes from ‘Oliver’, ‘A Chorus Line’, ‘Singin’ in the Rain’, and many more! In 1890s New York City, the bold and enchanting widow Dolly Levi is a socialite-turned-matchmaker. Her latest clients seeking assistance are the cantankerous ‘half-a-millionaire’ Horace Vandergelder and a young artist named Ambrose, who is in love with Horace’s niece, Ermengarde. Dolly’s scheming soon involves Horace’s employees as well as a New York hatmaker, as she tries to cover up her own secret romantic designs. Robert is a bachelor living in New York, and the only member of his social circle who isn’t married. All his friends are wanting for him to commit to someone, and Robert’s three girlfriends are all hoping for something more. Through a series of vignettes, all linked by Robert’s 35th birthday party, Robert weighs out the pros and cons of relationships and marriage. For better or for worse. 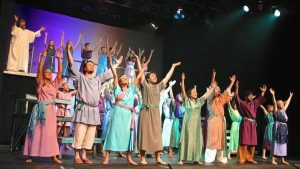 Based on the story of Genesis, Children of Eden tells the story of Adam, Eve, Noah and the Father who created them, who must deal with the headstrong, cataclysmicactions of their children. Stephen Schwartz’s rarely-performed musical is a frank, heartfelt and often humorous examination of the age-old conflict between parents and children. Performed in commemoration of the centenary of the beginning of World War One, Oh! What A Lovely War summarises and comments on the war through a series of sketches and by utilising the popular songs of the era. Throughout it follows the Smith family, stand-ins for the British working class, who initially view the war with sunny optimism. However after the horrors of trench warfare, the best they can hope for is survival. Bringing Charles Dickens’ novel to life, Lionel Bart’s much-beloved Oliver! takes audiences on a wild adventure through Victorian England. 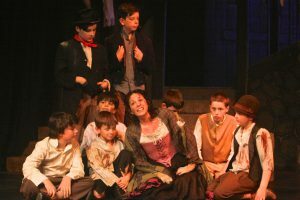 Young orphan Oliver Twist is recruited by the Artful Dodger into a gang of child pickpockets led by the conniving, but charismatic, Fagin. But when Oliver is falsely accused of a theft he didn’t commit, he is rescued by a kind and wealthy gentleman, to the dismay of Fagin’s violent sidekick, Bill Sykes.